LPC Diesel Fuel Additive enhances cetane levels and lubricity while lowering pour point by as much as 30°F in ULSD. It can be used with biocides as well as Star Tron, it is the ideal way to immediately improve the overall quality of diesel fuel and improve the performance of all diesel engines. A multi-functional diesel fuel additive. 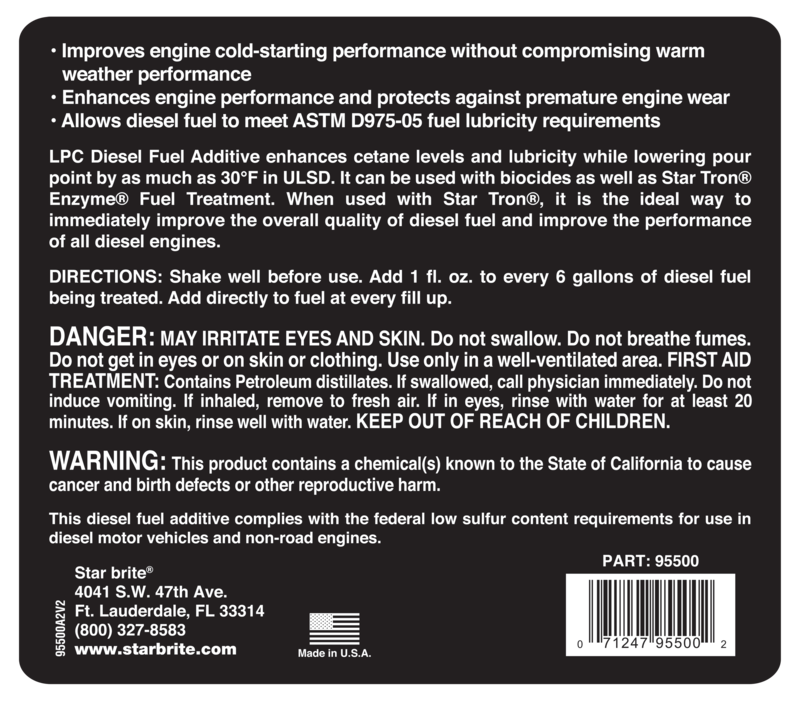 Enhances engine performance and protects against premature engine wear.Cold weather use; boosts cetane level. Improves fuel quality in three ways. Increases lubricity to extend engine life. 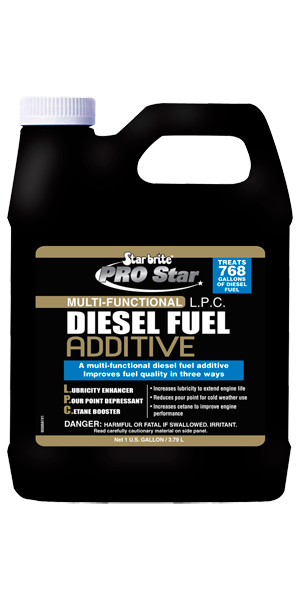 Ideal for use with Star Tron Diesel Formula Enzyme Fuel Treatment. Reduces pour point for cold weather use. Increases cetane to improve engine performance. Improves engine cold-starting performance without compromising warm weather performance. Allows diesel fuel to meet ASTM D975-05 fuel lubricity requirements. Add 1 fl. oz. to every 6 gallons of diesel fuel being treated. Add directly to fuel at every fill up.